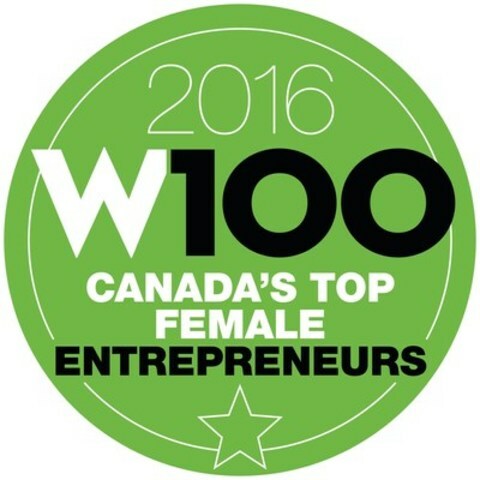 CALGARY, May 16, 2016 /CNW/ - Jodi Scarlett, President of ProStar Cleaning & Restoration Inc. "ProStar" of Calgary is proud to announce that she has been ranked on the 18th annual W100 list of Canada's Top Female Entrepreneurs. Published in the June issue of Canadian Business (available May 19) and online at PROFITguide.com and Chatelaine.com, the W100 ranks female entrepreneurs with a proprietary formula that considers the size, growth rate and profitability of the businesses they own and run. This is Jodi's third consecutive placement on this list. This year, she ranks number 92. "Earning a spot on the W100 list for a third consecutive year is amazing. Since growth is a major factor in the ranking, it is amazing to sustain that growth factor over such a long period of time and stay in the top 100. I have an incredible team at ProStar who strive towards our vision of building an elite team in the cleaning and restoration industry." says Scarlett, "The W100 award reminds me that our networks are so critical. I've been lucky enough to be mentored by some very successful female entrepreneurs that I meet through Women's Presidents Organization. Their mentorship and shared learnings have been invaluable in sustaining ProStar's growth in the market." "The members of the 2016 W100 each possess the talent and tenacity to start and grow a successful business," says James Cowan, Editor-in-chief of PROFIT and Canadian Business. "Their remarkable achievements serve as proof that ambitious, risk-taking female entrepreneurs are integral to the growth of the Canadian economy." Now in its 18th year, the W100 ranking of Canada's Top Female Entrepreneurs is Canada's largest celebration of achievement by women business owners. Produced by the editors of PROFIT and Canadian Business, the rankings and extended coverage of the women honoured are published in print and online. Applicants to the 2016 W100 were ranked using a proprietary formula that considers the size, growth rate and profitability of the companies they own and manage. To see this year's complete ranking and find links to all of our W100 editorial coverage, visit http://www.profitguide.com/w100.